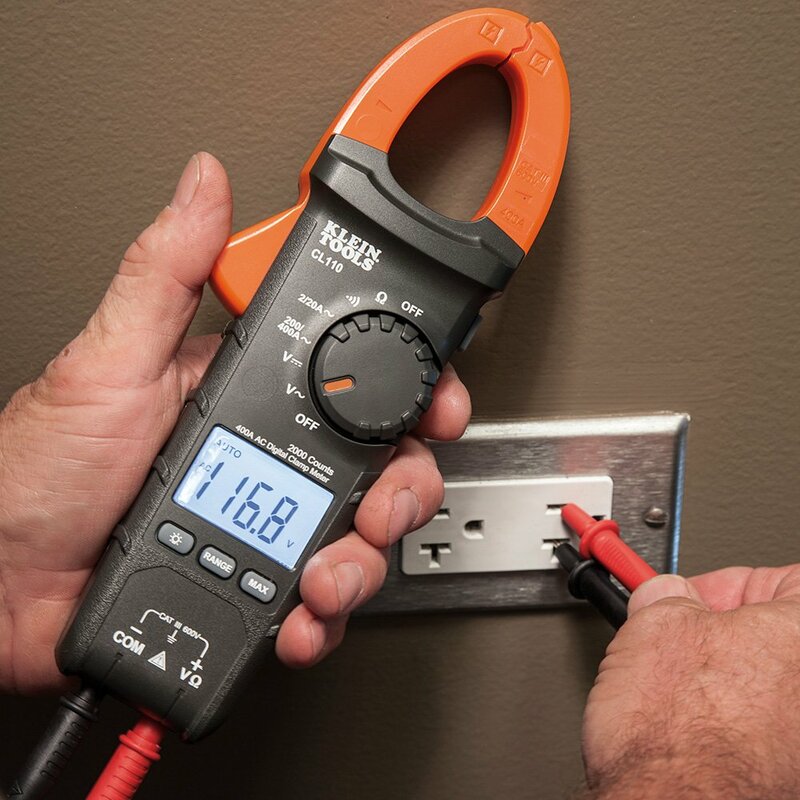 Klein Tools CL110 is an automatically ranging digital clamp-meter that measures AC current via the clamp, and AC/DC voltage, resistance and continuity via test-leads. Klein Tools' Test and Measurement product line was exclusively designed from the ground up by electricians for electricians. Years of field research, combined with extensive input from electricians across America, inspired the development of meters and electrical testers loaded with innovative, time-saving features.